September | 2013 | 50 Westerns From The 50s. 50s Westerns DVD News #133: More From TCM’s Universal Vault Series. Universal’s Vault Series is serving up a handful of 50s Westerns, basically taking the TCM Western Horizons set and selling them as single discs (available exclusively from Amazon). Horizons West (1952) has Budd Boetticher directing Robert Ryan, Julie Adams and Rock Hudson in a Technicolor post-Civil War tale. Saskatchewan (1954) puts Alan Ladd, Shelley Winters, J. Carrol Naish and Hugh O’Brian in the hands of the great Raoul Walsh. 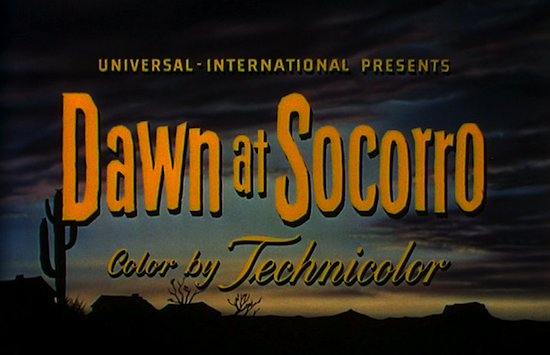 Dawn At Socorro (1954) was directed by George Sherman, which is enough for me. Factor in Rory Calhoun, Piper Laurie, Mara Corday, Edgar Buchanan, Skip Homeier, James Millican and Lee Van Cleef, and you’ve really got something going. Pillars Of The Sky (1956) stars Jeff Chandler and Dorothy Malone. Support comes from Ward Bond, Olive Carey (both appeared in The Searchers the same year) and Lee Marvin. George Marshall directed in CinemaScope. I love this film. 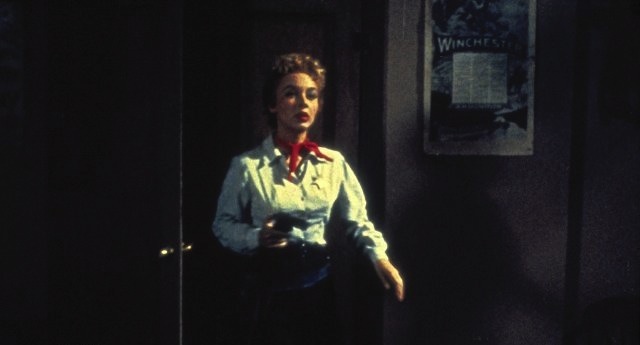 Backlash (1956) comes from John Sturges and stars Richard Widmark, Donna Reed and William Campbell. Good stuff. These will make a welcome addition to anybody’s collection, but what I want to know is: where are A Day Of Fury (1956) and Last Of The Fast Guns (1958)? 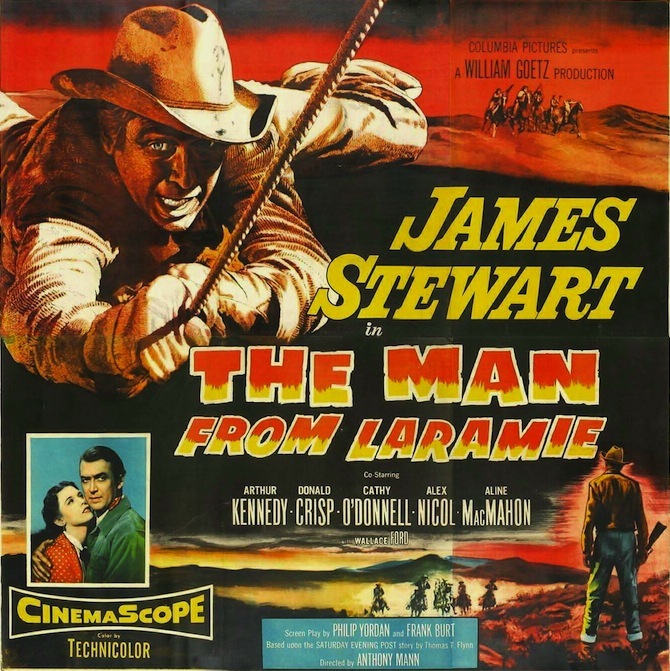 50s Westerns Blu-ray News 132: The Man From Laramie (1955). Don’t have any real details yet, but Twilight Time will issue The Man From Laramie (1955) on Blu-ray some time in 2014. Of course, it’s one of the finest of 50s Westerns — some consider it the best of the Anthony Mann/James Stewart pictures. 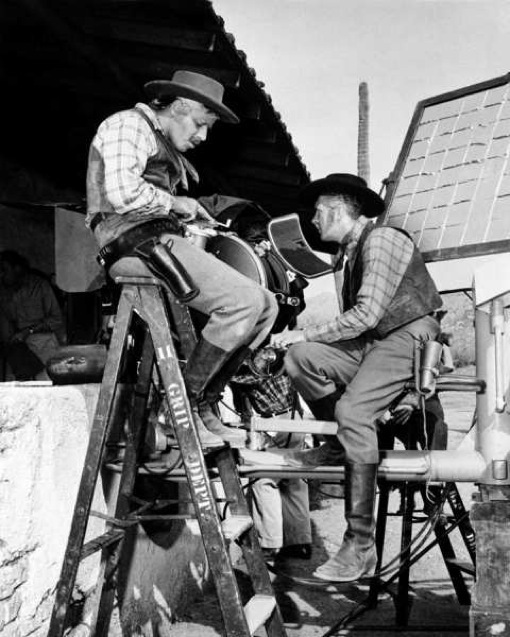 Also coming is Stewart (again) and Richard Widmark in John Ford’s Two Rode Together (1961). 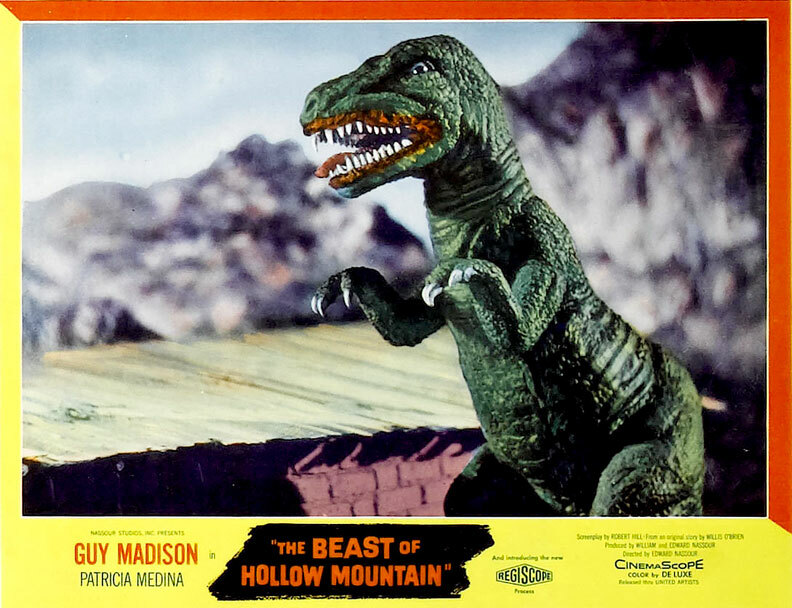 50s Westerns DVD News #131: The Beast Of Hollow Mountain (1956). To call The Beast Of Hollow Mountain (1956) a Western might be pushing things a bit. After all, dinosaurs don’t turn up in too many cowboy movies. 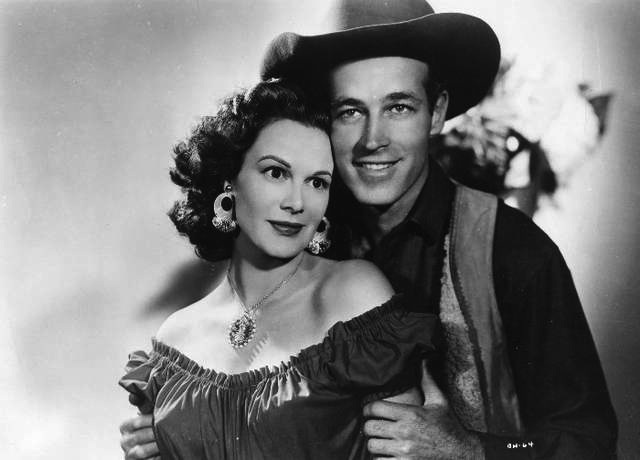 But it’s got Guy Madison in it, which counts for a lot, and Patricia Medina (The Buckskin Lady, 1957). Based on a story by special effects genius Willis O’Brien (King Kong), this Mexican co-production finds Madison as a rancher trying to find out why his cattle are disappearing. It’s a shame Willis didn’t get to handle the animation, because the effects are only so-so. He had been shopping this story around for years. It was eventually made a second time as Valley Of Gwangi (1969), with effects by O’Brien’s former student Ray Harryhausen. It’s a fun film, and very cool in CinemaScope. 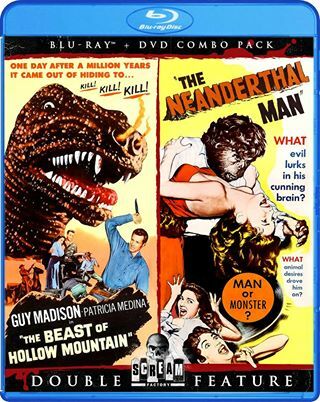 Hollow Mountain will be paired with The Neanderthal Man (1953) for a 2014 Blu-ray release from Shout Factory. As you may know, Shout Factory has a horror specialty label called Scream Factory. I’d like to propose that they launch an all-Western division — Shoot Factory, perhaps. They take great care in their releases. Last Train From Gun Hill Heads To The Forgotten Filmcast. I was a recent guest on Todd Liebenow’s excellent podcast Forgotten Filmcast, which features a film blogger covering a movie they consider under-appreciated. We focused on Last Train From Gun Hill (1959). Todd had never seen it, and I was so happy to hear he loved it. 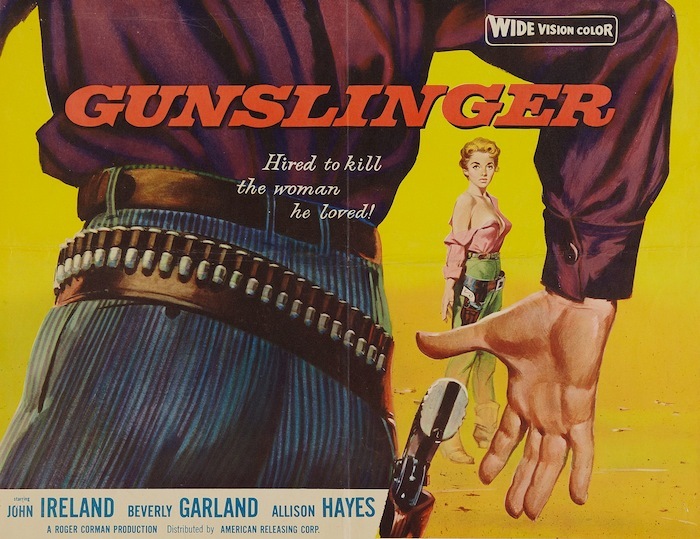 It’s a great 50s Western, one of my favorites, and I hope we did it justice. The show’s now available from iTunes or the Forgotten Filmcast site. The terrific illustration of Kirk Douglas in Last Train From Gun Hill was done by Roger Koch, who goes by the name Zombie Dad. Permission to use it is greatly appreciated. 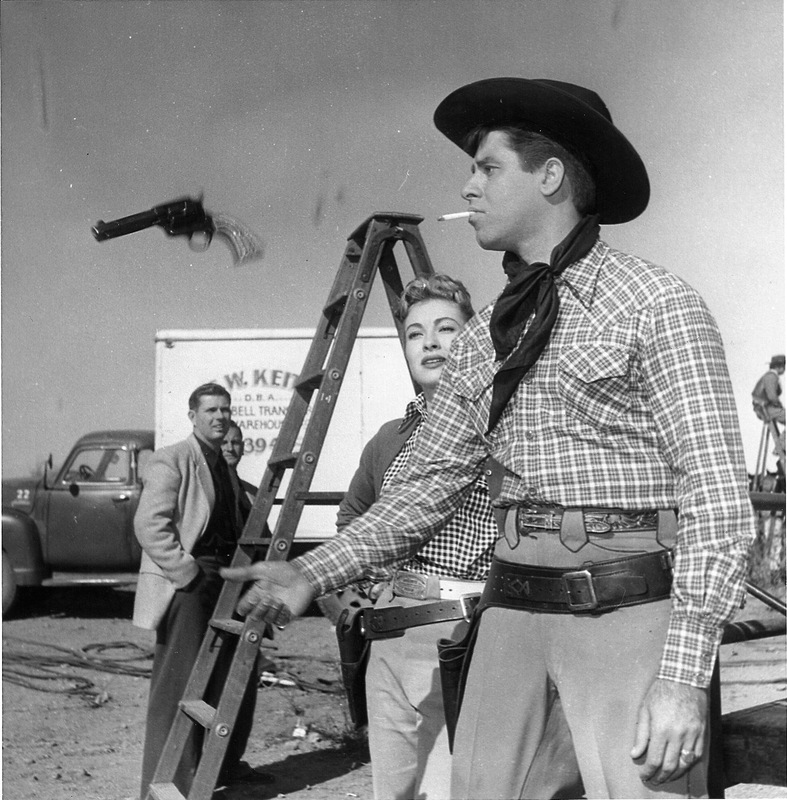 Gallery: Martin And Lewis Making Pardners (1956). In my mind, Labor Day belongs to Jerry Lewis. His annual Muscular Dystrophy Association (MDA) telethon saw to that. 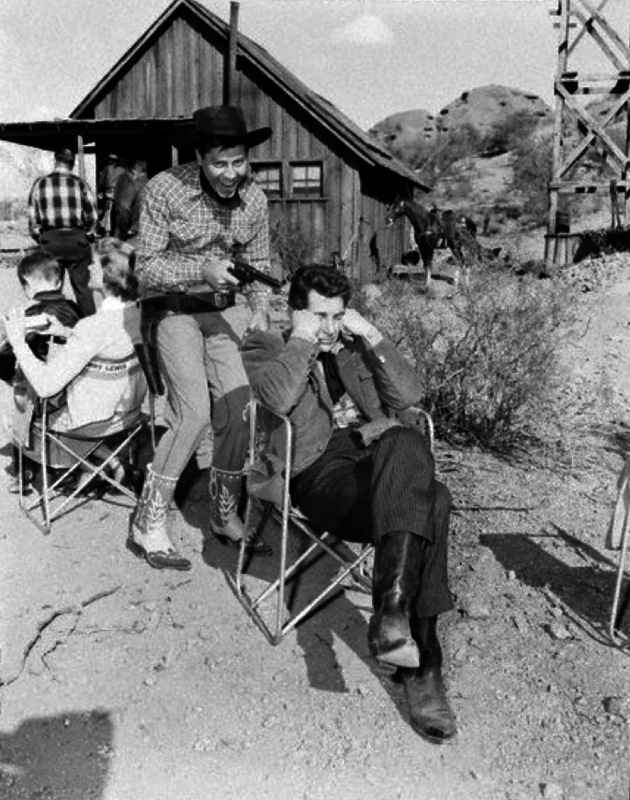 So today seems like the perfect time to highlight Dean Martin and Jerry Lewis in Pardners (1956), their next-to-last film together. You can support the MDA and their Show Of Strength Telethon here.